The 2020 Lib Tech Travis Rice is another great addition to the Travis Rice legacy. Anything that has the Travis Rice name has to be something special, and his 2020 pro model delivers on all fronts. Travis has done it all on this board, X Games, video parts, freeride competitions, big mountains, and park laps, proving this to be one of the most versatile and best performing boards ever made. With freestyle focused blunted tips in the shorter sizes and freeride focused pointed tips in the larger sizes, but regardless of the shape, there are few things this board can't do. The T. Rice Pro prides itself on being the board that will let you push your limits, but is still fun and playful enough to be the board you take out every day. The favourite camber of Travis Rice. 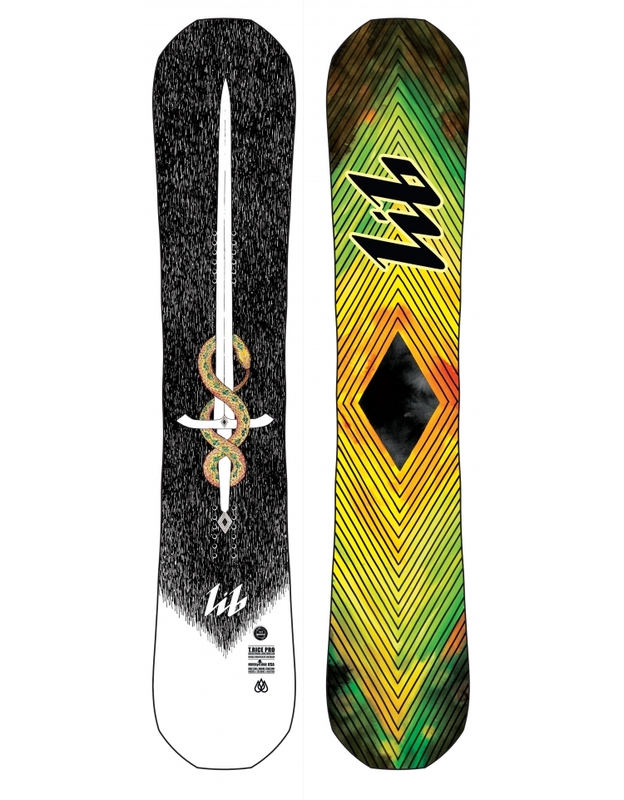 Mild rocker between your feet with powerful camber to the tip and tail gives you power and pop on groomers and in the park along with float and freedom to charge through powder. Carves the resort, plays in the park, and slays powder. 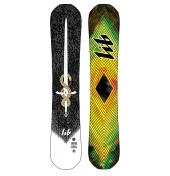 This twin shape is the same tip to tail, and can perform just as well in switch as it does regular. Lighter, Environmentally Nicer, Smoother. Combines Aspen and Paulownia woods with Triax, Biax, and Basalt alloy glass for a super smooth, damp ride, and lighter weight. Fast and rugged with maximum wax retention, plus a bit of extra environmental care. Bio Beans Topsheet - A bio-plastic made from beans. Good for your board, and good for the environment. Magne-Traction - 7 strategically placed serrations along the edges of the board grip onto the snow and hold a strong edge in any condition. Lightweight Spin Slim Tip and Tail - Reduced thickness in the tip and tail reduce swing weight, giving you quicker spins and a lighter board.